Probably early 19th century. Triangular-plan piend-capped droved ashlar milestone adjoining rubble wall to N.
Intact early milestone. 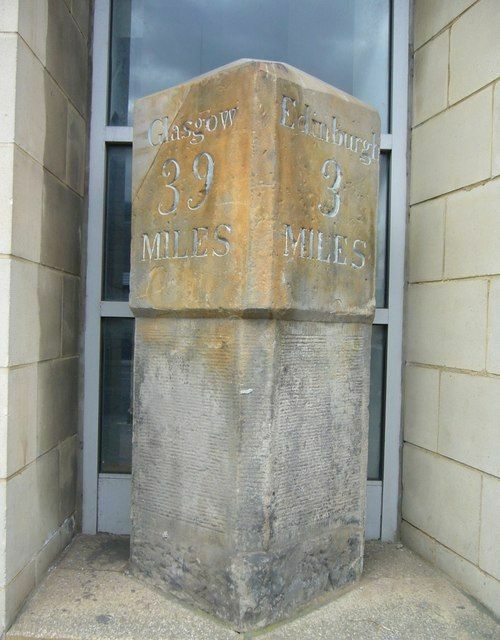 SE inscription reads 'Edinburgh 2 miles' SW 'Glasgow 40 miles.' Presumably originally located on S side of road.